It’s definitely pretty interesting to review the manga before the show right? Now that season 5 has ended I will start working on a RWBY review very soon. It’s going to be massive though so it won’t be up for a long time. The show rose out of nowhere and suddenly became one of the all time greats. Now you see the franchise everywhere so it makes sense that the manga has come to America. Unfortunately, it does feel a little like a cash grab, but it does give some of the earlier shorts some more context and even changes a few things for kicks. It’s a fun enough volume since I’m a huge fan of the franchise, but I still can’t call it a great manga. Perhaps we will get a new ongoing RWBY series soon which will work a little better. The volume starts off with 4 individual stories. They each adapt the original RWBY character shorts. The Ruby one is naturally a lot of fun since it’s just her beating up the Grimm for an entire chapter. That’s still a very iconic RWBY short and the manga adapts it well. While I’m not a huge fan of the artwork, the artist does show up for the fight scenes. Weiss’ story also shows up and we learn that the giant Knight from her special was actually a suit of armor that a Grimm was possessing. It was a test to see if Weiss would be allowed to leave and she passed it with flying colors. It had more dialogue and more of a plot than the Ruby short so I would consider this chapter to be better. Next up we had the Blake story. Adam doesn’t look quite as good as in the show since Blake needs to save him and in general he doesn’t look as skilled, but I’m used to most of the community not liking Adam. He’s still one of the best characters in RWBY, but more on that in the show review. It’s another fun story with a bunch of action. 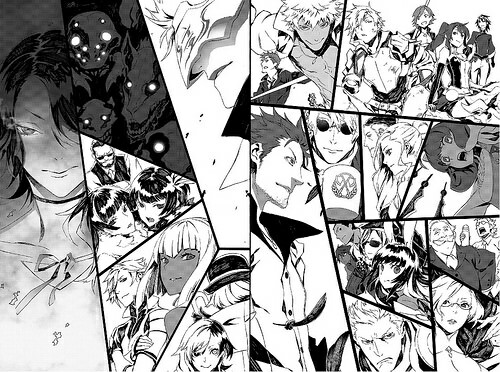 Finally we have the Yang chapter. It’s the best of the shorts and also the best prequel chapter here. It’s basically nonstop action with Yang beating everyone up and reminding us why she is the power hitter of the group. This all leads into the main arc for the manga volume. Team JNPR is sent off on a mission to stop a giant Grimm and they leave early to show off. Team RWBY catches up to them and the teams take on the 8 Headed Dragon. It’s a pretty hype fight with a lot of teamwork and we’ve never really gotten to see all 8 heroes fight a big creature like this. We did have a similar fight in season 1 against two monsters though which is likely the approach the story was going for. It’s another solid action story and then it basically ends with a small tease for all the events that would happen in the show. The manga is essentially just a quick spinoff story so you can see the characters in a new situation and the prequels were adapted perhaps for any manga reader who didn’t watch the show. This way they would know who the characters are. I do wonder if the manga was originally going to be one volume or not. It just seemed like it would be an ongoing title while reading it. The first 4 chapters set up the various characters and their subplots. Torchwick showed up a few times during the original story which felt like obvious foreshadowing as well. I feel like the author was either planning to start adapting the show again after the original story and it just didn’t happen or he was going to do his own thing. Either way, the ending was so abrupt that it just feels like something is missing. It’s a shame that it was only 1 volume because there are so many more scenes that could have been made. Since RWBY only gives us about 3-4 hours of content per year, there’s not a whole lot of time for bonus fights and extra plots. Having an ongoing manga/comic/anime series to run alongside it would be really cool. I guess this manga just isn’t the way that was going to happen. Perhaps the artwork ended up hurting it a bit in the long run. The art is actually quite bad. Most of the characters are off model the whole time and their designs are not on point. Nobody really looks like how they should and the art is just rather cluttered. There doesn’t seem to have been a whole lot of effort put behind the manga. Again, I feel like this manga was really just made for some quick cash or to get more awareness out on the series. If it had been given real art then this could have ended up being known as one of the all time greats. Instead, it limits the series. It’s still a good volume though and I don’t regret pre ordering it. What the series lacks in artwork it makes up for in fights. Every chapter has a bunch of action and the fights just don’t stop in this volume. The action just keeps on going and going as you would expect it too. The characters are still likable although that’s likely just because I know their personalities from the show. It’s not as if there is really any time for development in this volume before it just ends. It’s simply building off of the show’s legacy. There’s not too much more to say without regurgitating the same points over and over again. At the end of the day, it’s just a fun manga. Maybe part of this was intentionally trying to recapture what made RWBY popular in the first place. It was just a series of shorts with great, tightly choreographed fight scenes. There wasn’t much of a plot, but the specials still had a lot of character. You could learn a lot from the characters by their design, facial expressions, and movements. They didn’t need dialogue and much in the same way, the manga doesn’t build on the characters. You just know that they mean business from the way that they fight while also having carefree attitudes outside of combat. The manga decided that you don’t need to know any more than that and just launches you into fights from there. Jaune fans will likely be saddened by the fact that he doesn’t do much here, but at least he got to appear. A bunch of characters couldn’t make it in before the volume ended. 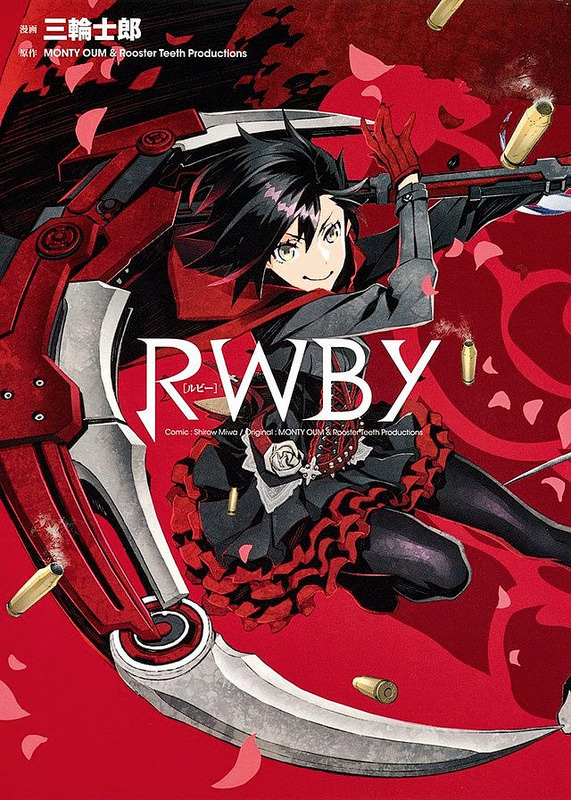 Overall, Watching RWBY before reading this manga will allow you to enjoy it a lot more. If you haven’t seen RWBY, then I will still recommend this volume, but it’ll come off as extremely bland and rushed. Just look at the image above. You can see how much the manga foreshadowed, but I suppose it’s just an advertisement for the show. You’ll essentially not be reading this for the plot and you’ll just want to focus on the action. You may have some questions on what is happening and why it’s happening, but the book has a little guide at the beginning to help newcomers and at the end of the day you shouldn’t overthink it. The concept of a school training people to fight monsters is pretty basic and even if you don’t know the technicalities you should be able to get the manga’s drift. So, without the RWBY factor then you can drop this review one star. It’s still a positive score though and I eagerly await whatever RWBY product is next. This entry was posted in Manga, Manga Reviews, Reviews and tagged Action, Blake, Manga, Manga Review, Review, Rooster Teeth, Ruby Rose, RWBY, Spinoff, Weiss, Yang by dreager1. Bookmark the permalink. I’ve been a fan of RWBY for a while now, pretty much ever since the concept videos came out on RT’s channel. I’ll admit that my interest has swayed a little recently, but I’m still kinda excited to try the manga out. I never knew they were planning for a manga series, and with the interesting concept that RWBY has, I’m sure it will be just as entertaining as the anime was. I’ve actually been reading a series recently that deals with a twist on the magical girl genre, kinda like RWBY did, but in darker terms. It’s called Miss Guillotine, and personally, I think it represents a more realistic representation of what could happen if magical girls were real. It deals with dark topics like intensive bullying, suicide and murder. Definitely not for the lighthearted, but a really interesting and unique series nonetheless. I definitely recommend checking it out if you’re not disturbed by those kinds of topics.